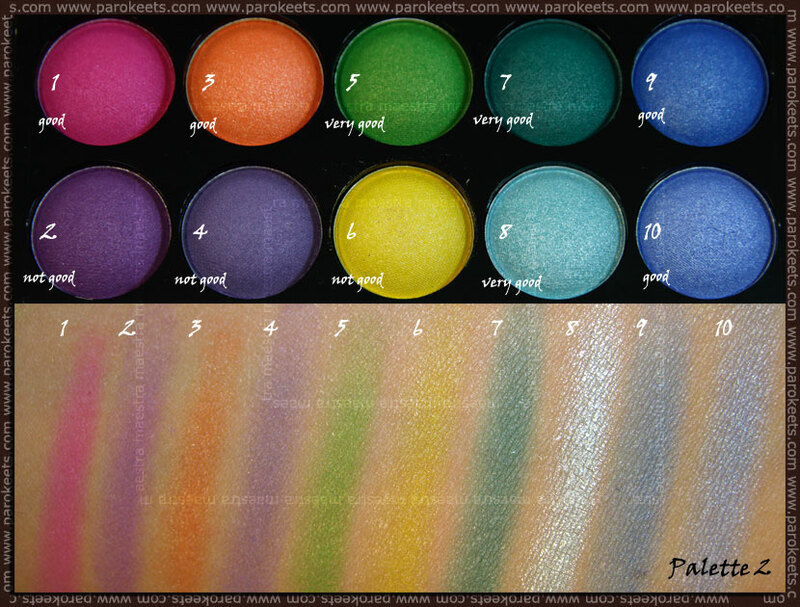 Today I’d like to present you all six of the Beauty UK palettes. First I’d like to tell you that at first I was really sceptical about them. I know almost everyone is raving about them, but you know what? In general people love cheap stuff. I mean, I do too. But still. Too often people are too forgiving to cheap stuff. 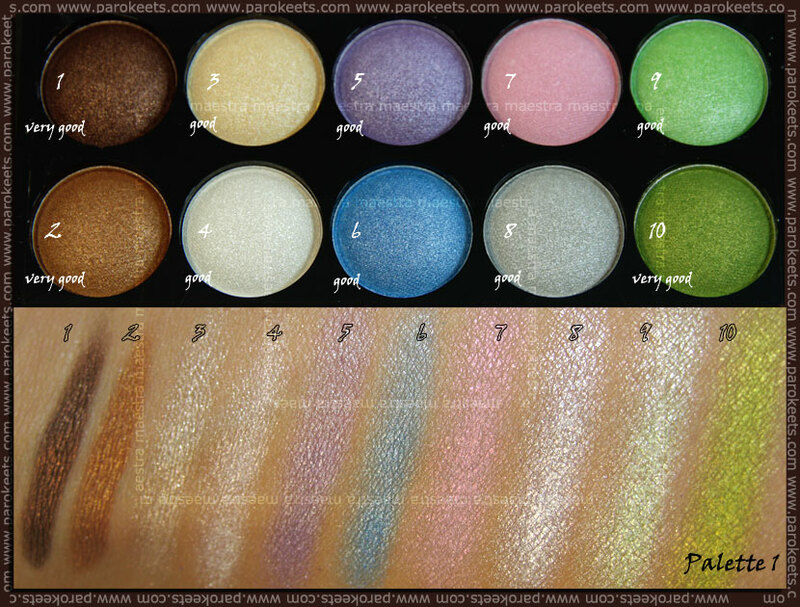 And that’s why I was really sceptical, that I would like these palettes. Man was I surprised. 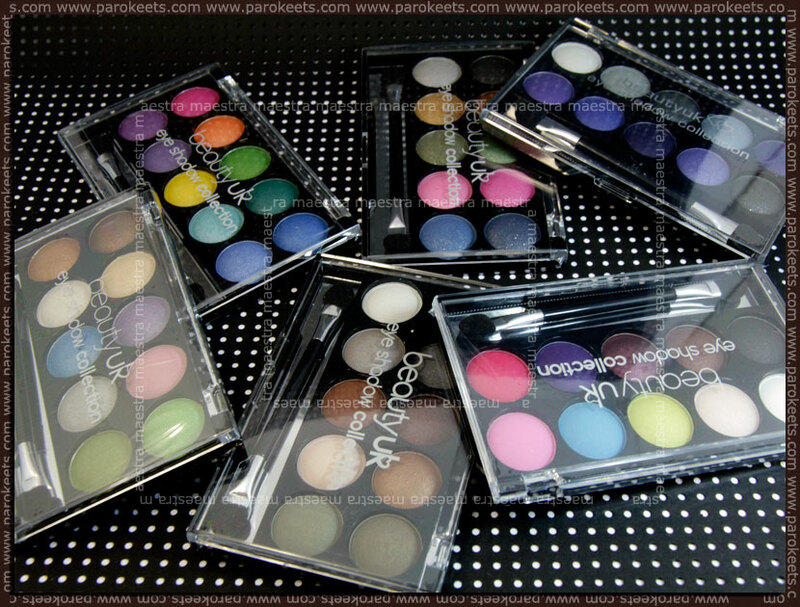 These actually are good palettes. 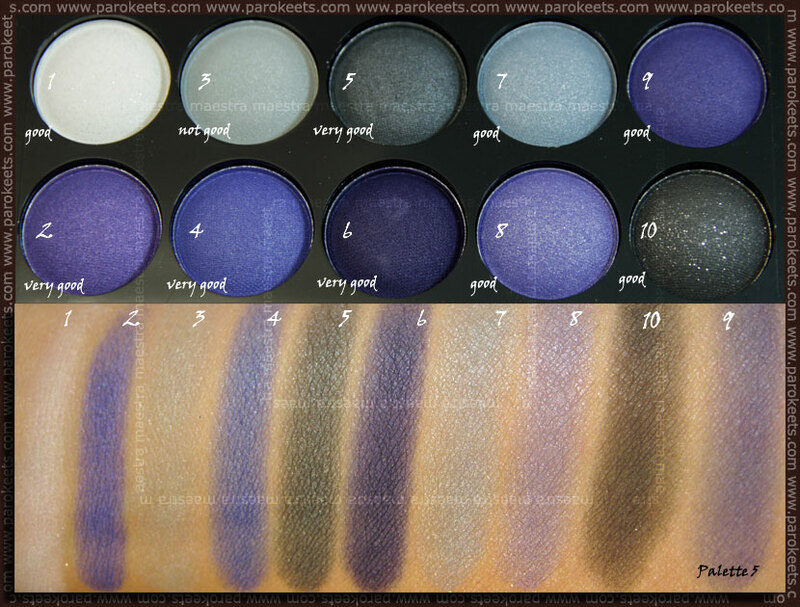 I mean not all the eyeshadows are great, but still … for the money, these in general are good palettes. Please read on for more in depth review. 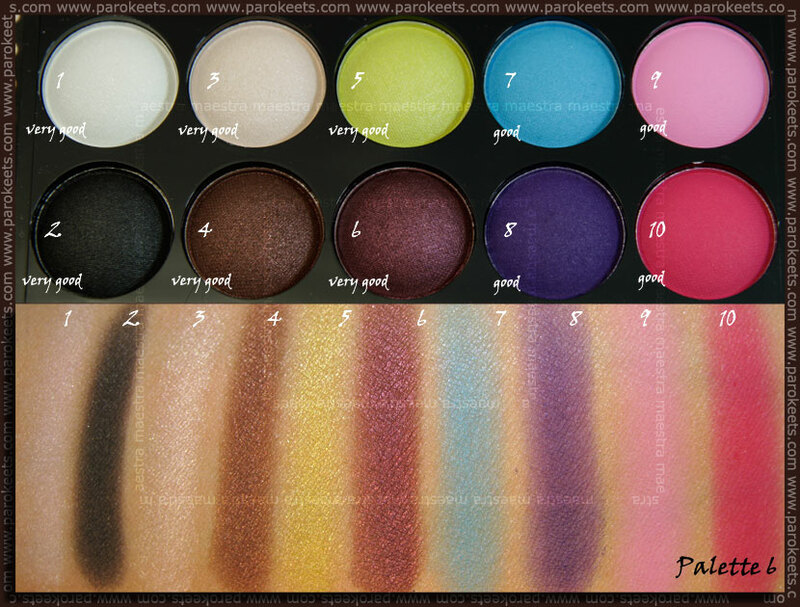 Here is a group photo of all the palettes. A short explanation to the photos below. I assigned a label to every single eyeshadow. The labels are how I would consider that specific eyeshadow. If you like pastels this is a good palette. I like that there’s also some darker shades. That way the palette is more useful. Although I thought I would love this palette because of all the bright colors, it turned out to be my least favourite. Why? Because of the quality. 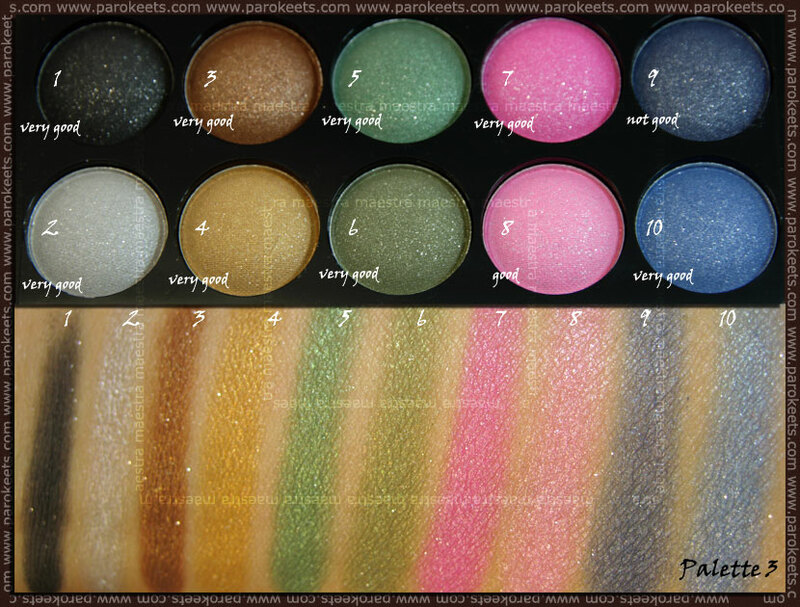 In this palette there are just too many eyeshadows that aren’t very good (or even decent) quality. The Glitz palette surprised me. I thought that I wouldn’t like it because of the silver particles in it, but these particles are incorporated in the palette well, so there’s not a lot of fall out. There’s still some fall out but it’s within normal limits (whatever that means :D). Earth Child is probably the most useful palette and I’d say it’s a must have. It’s a good everyday palette. Twilight is a palette for all the purple and blue lovers. I think it’s a good alternative to Sleek’s Bad Girl palette. I think this is a weird palette. The mixture of colors is just odd. Yes, you can create many different looks with it, but still … Funny palette if you ask me. The quality of the eyeshadows in this palette is very good, so it’s a good quality palette with a weird selection of colors. The packaging is simple. Nothing fancy. The palettes aren’t heavy. They are very handy. I think they are great when you travel etc. All in all good palettes for a good price. To finish the review I have a simple, fresh and colorful make up look, I made with the Beauty UK eyeshadow palette No.1 (Pastels) and Illamasqua’s blush in Hussy (on cheeks and eyes) and Illamasqua’s lipstick in Scandal (with clear lip gloss over it). I hope that this review was helpful to at least some of you. 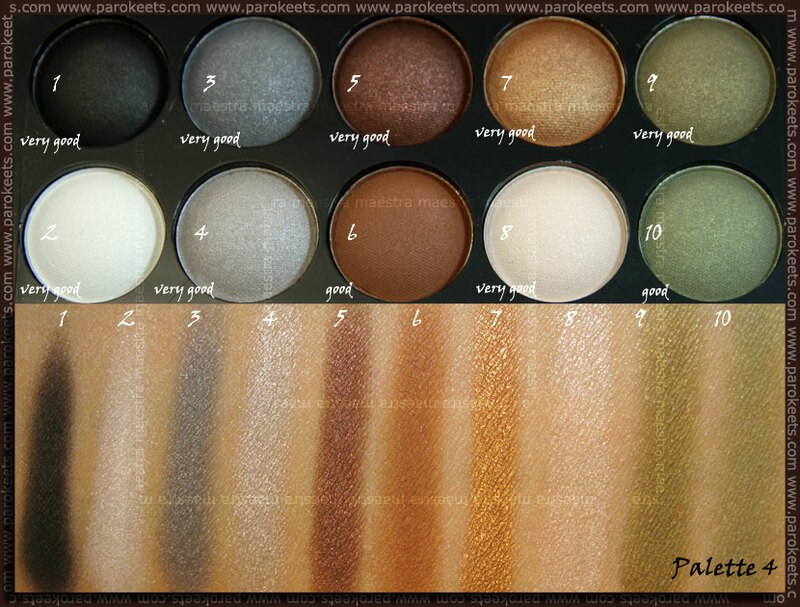 Please let me know in the comments which palette is your favourite? * The products were sent to me for review. Great review! They look so beautiful and I would have expected that neon palette to be one of the best too. Does the packaging say the ingredients on them? Earth Child looks really nice! These are great,,were can I buy them? Most helpful review ever!! :thumb: No 5 and 6 are my fav I think. Ooo super zadeva. Ce bi ne ze imela dovolj paletk, bi sla takoj v nabavo. Mi izgledajo super pa tudi berejo se krasno. Aja si napisala dvakrat, da si uporabila blusher Hussy :). Mene so res pozitivno presenetile te palete. za 4 funte bi ih sve kupila! meni su preslatke!